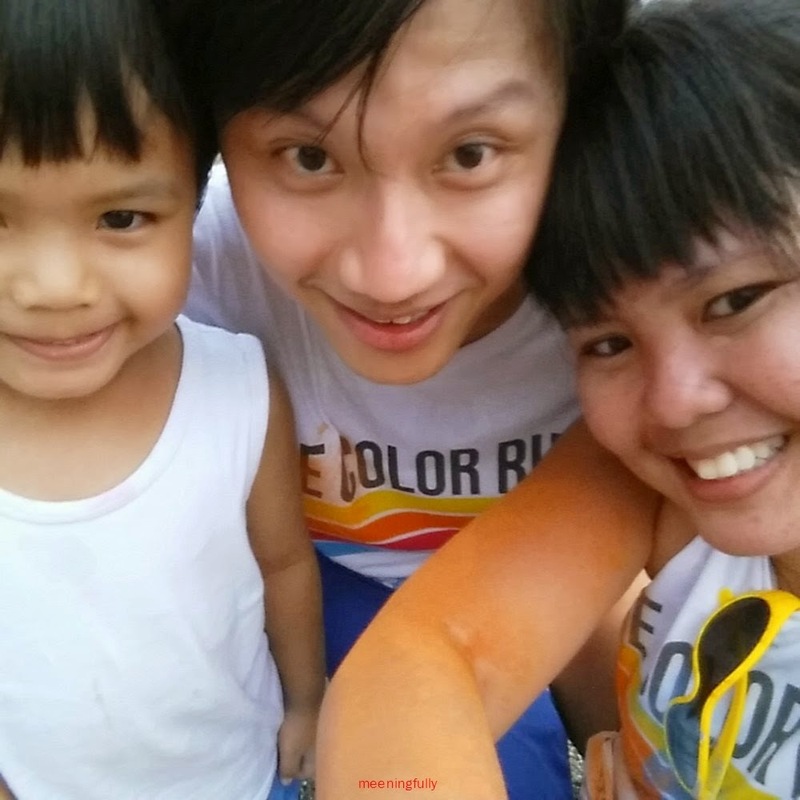 The 3 of us took part in The Color Run Singapore 2014 last Saturday, our first run as a family. 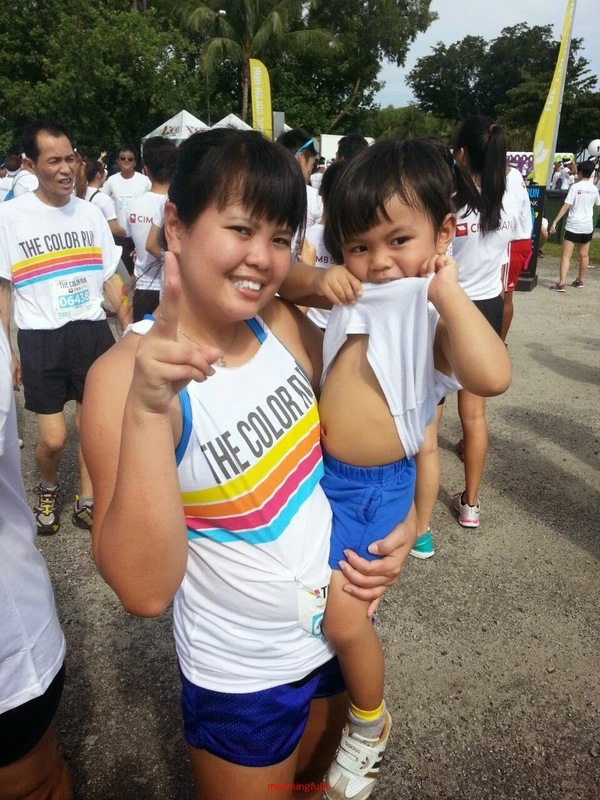 While I was not looking forward to the run initially as I was afraid the heat might make the boys (husband included) grouchy, I wanted (on the other hand) at least experience how it feels like to be doused with color along a 5km run. 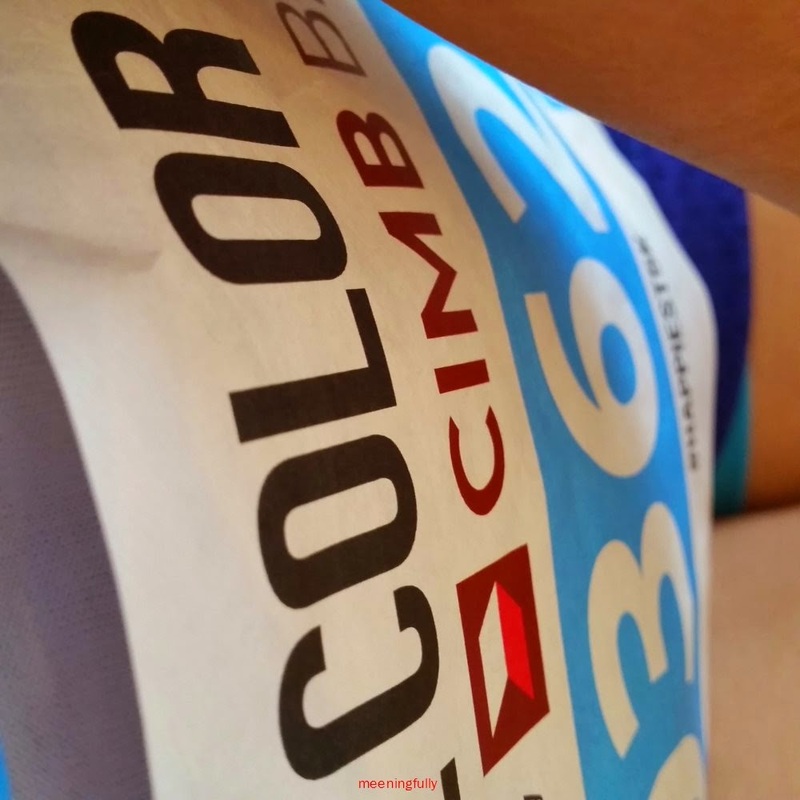 Dubbed as the " happiest 5k on the planet", the event certainly lived up to it's name. The crowd were there to have genuine fun! 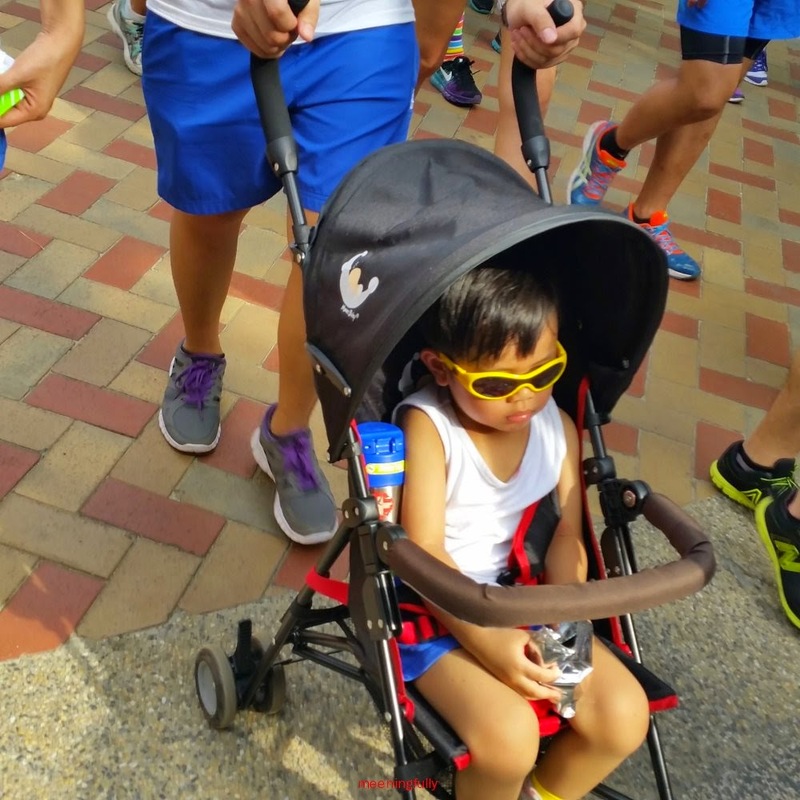 There were no age barriers, and kiddos as young as J were very much welcome by the crowd of runners in his stroller. 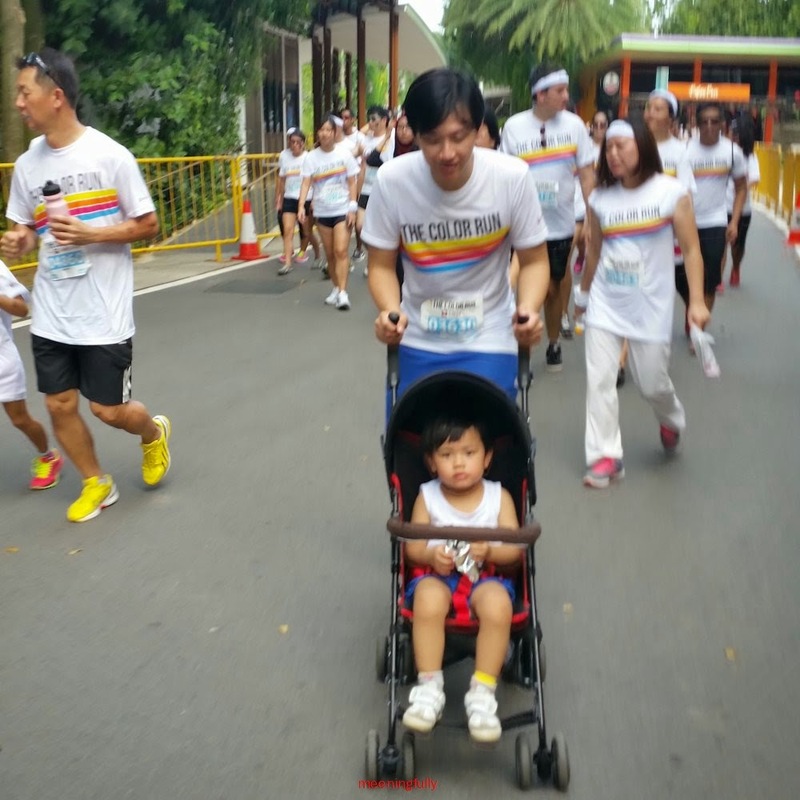 People gave way to us, hi-fived the boy along the way and "splashers" while having fun throwing dye at runners were mindful of young kids by asking if we minded having J splashed at. 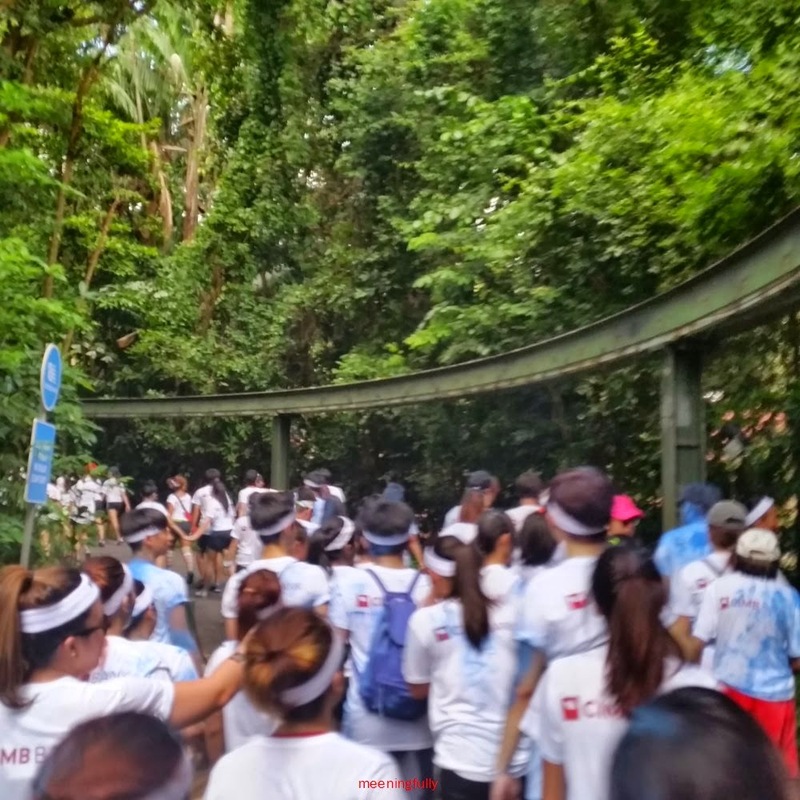 Having the event at Sentosa was also a nice way see the island on foot, and explore some of the walking trails which we are sometimes not privy to. 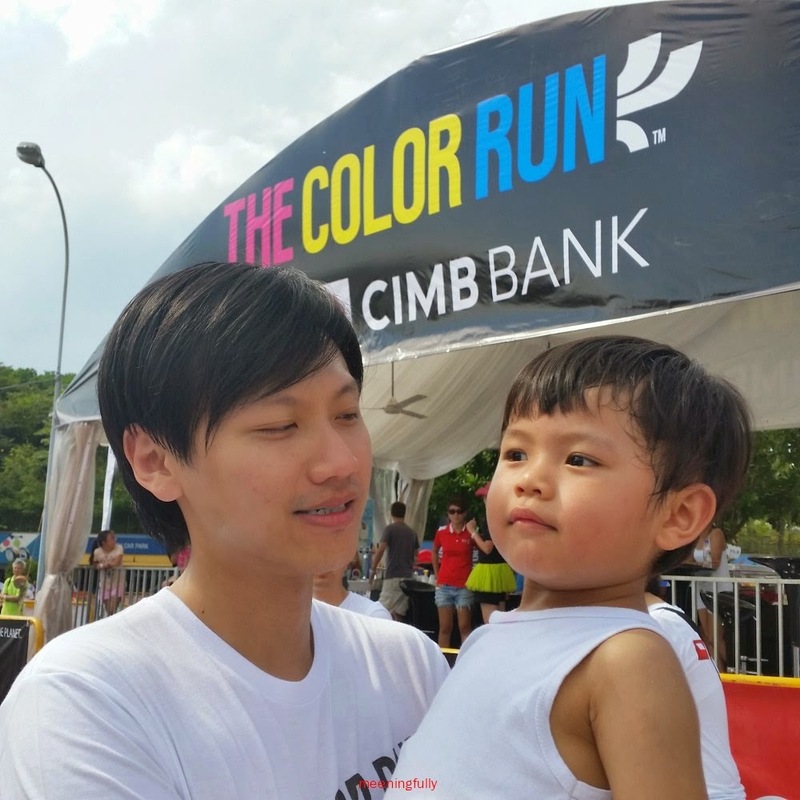 Well done to the organisers of The Color Run, and yeah.. I think there is possibly a second time for our little family of 3 especially when I am sure all 3 of us had a lot of fun that day! "Urghhh...... 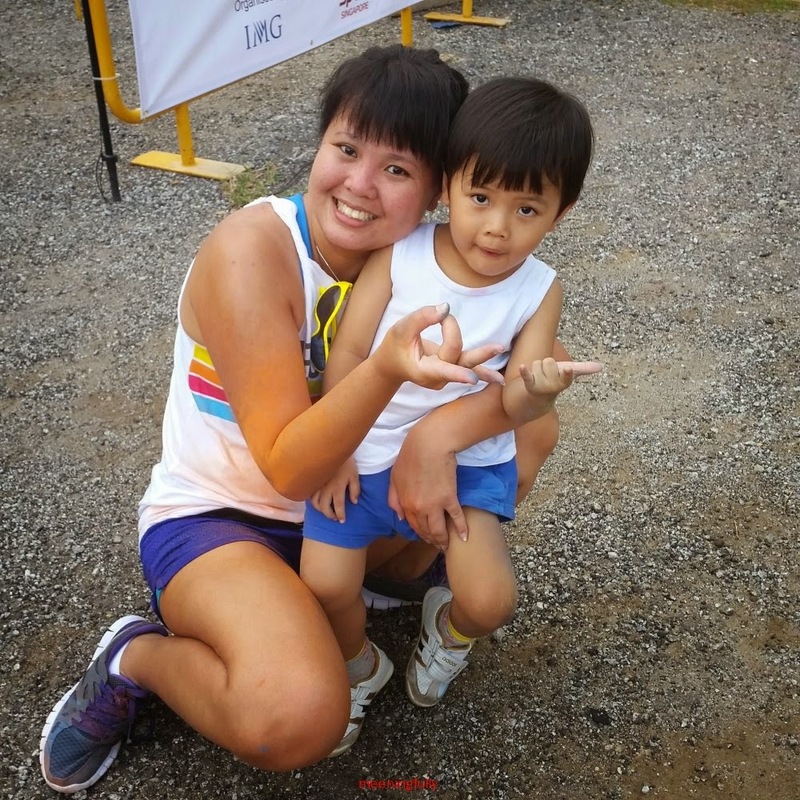 I want to start to run... like NOW!" " Oh! I see a dancing unicorn!" " Huh? You mean you are running? 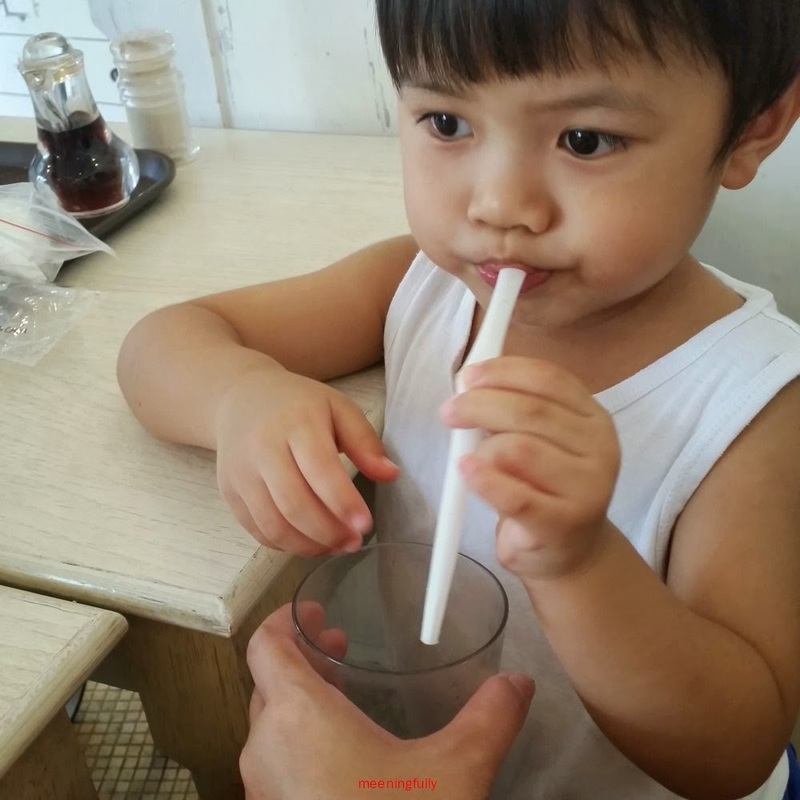 Wait ah Mummy... i finish my koko krunch first". Post run picture. The little one is obviously in a better mood. Yeah! We are done... with very little colour... all thanks to the little one!